It’s time. Your child learned to walk. Then, they learned how to tie their shoes all by themselves. They rode the bus to school all by themselves. Now, the next rite of passage awaits them. It’s finally time to send your child on an interdimensional journey with their genius grandpa… you know, like Morty from Rick and Morty. 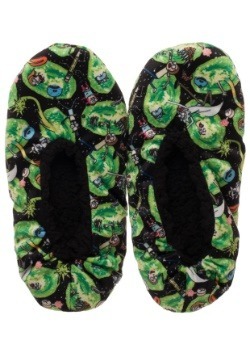 We know what you’re thinking. Isn’t that dangerous? Also, what if grandpa hasn’t invented an interdimensional portal gun? Well, no worries! Before you send them on a REAL interdimensional voyage, you’re going to want to go through a few test runs in this reality. Maybe even take your young one trick or treating in preparation for the real deal in the near future. 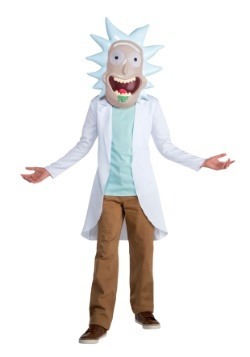 That’s why we recommend dressing your child up in this Rick and Morty costume. 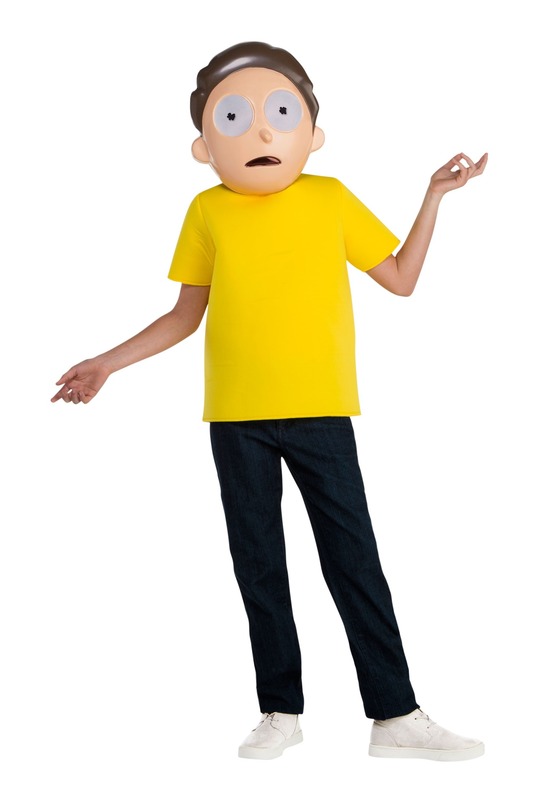 This officially licensed Morty Smith costume recreates his outfit from the cartoon series. It’s quite simple in its design, but also rather effective. The yellow shirt top is made of fabric and is designed like a normal tee. 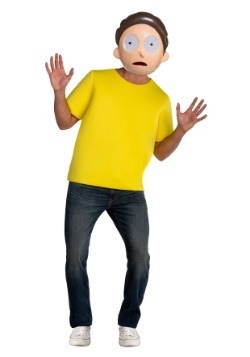 The bright yellow color matches the color from the cartoon series. 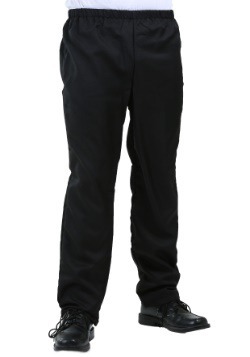 Of course, the mask has to be the best part of this outfit. 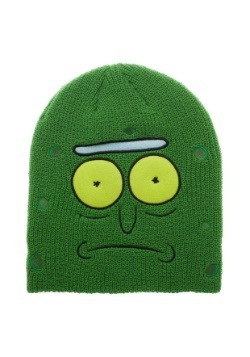 It’s molded to look like Morty’s face, complete with his nervous frown and his wide eyes. It also has his brown hair molded on the top. The mask fits quite easily with an elastic band in the back. 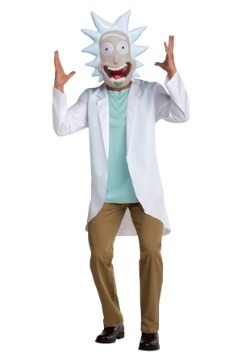 Once your child has this Rick and Morty costume on, they’ll be ready for any kind of adventure. Of course, it might be a few more years before we’ll have portal technology available, so you’ll have to keep doing test missions until then. 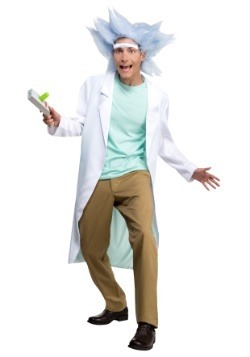 You could even dress up like Rick Sanchez to become your child’s mentor on the next adventure.